Originally, this post was called Notes from the Road. I actually wrote most of this post many weeks ago while spending the day at the Columbus, Ohio airport waiting for a ride to Quilt National. It went something like this…. As I write this, I am sitting in the Columbus Airport waiting for a ride to Athens. 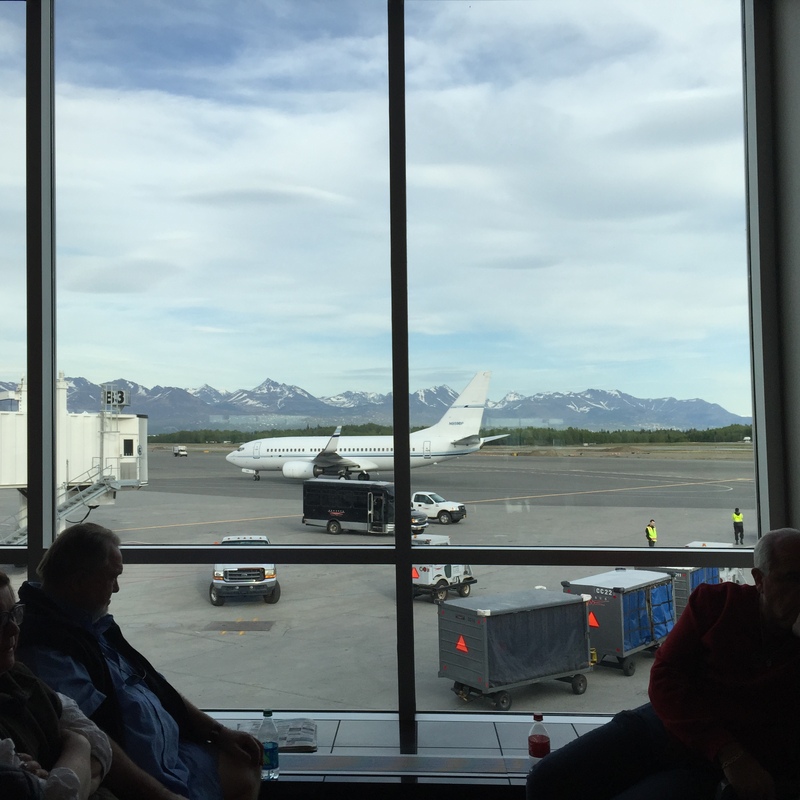 I have been traveling since yesterday–such is the reality of an Anchorage red eye. I thought I had a ride from Columbus to Athens this morning, but I am a day early for that adventure. Fortunately, I had a plan B which involves sitting here all day. I cried about this for a little bit, but now I have settled into laptop work, people watching, and ice tea. For the next three weeks, I will be on the road. I aspire to write two posts a week, but if I go missing, you will know the reason why. And boy did I go missing. Maintaining a blog while traveling is very difficult. 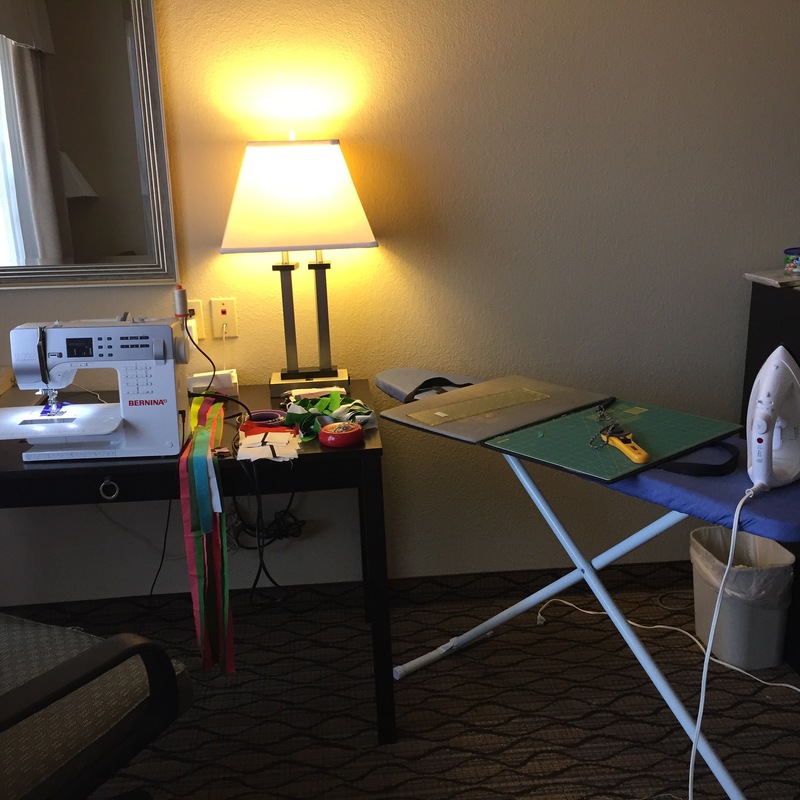 Even if you are holed up in a hotel room with empty hours waiting to be filled, random movies and knitting (and quilting) are just so darn attractive in the silent loneliness of a budget hotel room. And then the weeks pass, and its kind of like you went on a bender–junk food, wine, shopping, all those rabbit holes are so HARD to climb out of. What I am trying to say is that being a good blogger takes discipline, and when you lose that discipline, it can be a struggle to get it back. I then I have the urge to feel sorry for myself, to maybe just give up. Who, besides my mother, reads this thing anyway? But then I think about the art opportunities that have come my way through my tip tapping on this computer and then clicking PUBLISH. I realize I have made loads of amazing internet friends–many who are now real life friends. And finally, the fact that I have documented the last 2 1/2 years of my creative journey is kind of cool. So, I think, OKAY. Get back on that horse. The original post detailed my itinerary along with some links to relevant blog posts. It’s still a decent idea, so I’m going with it. The first stop of my journey was Quilt National. 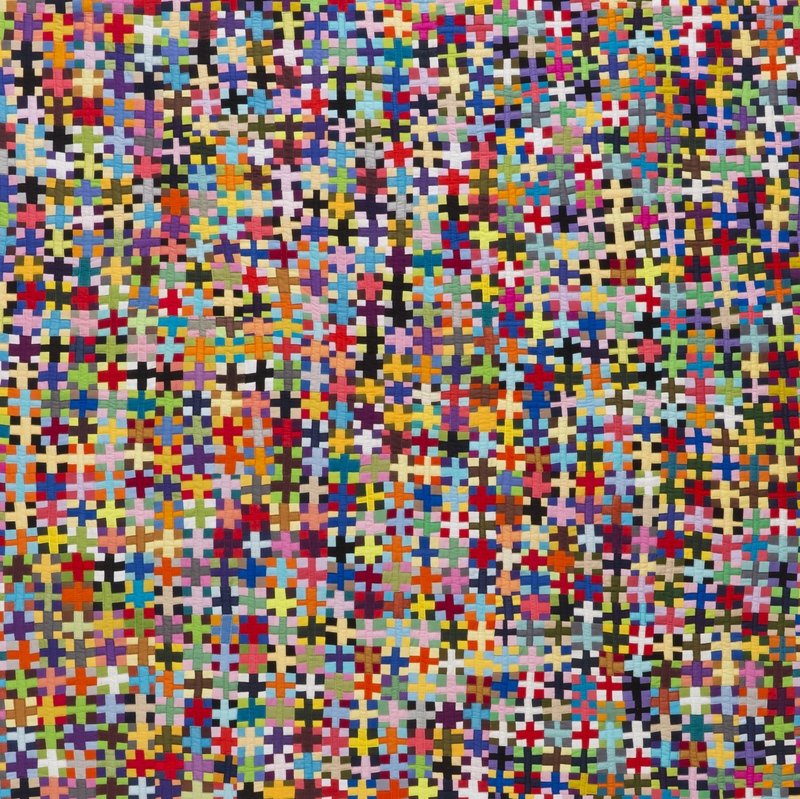 I used to be a bit annoyed by the secrecy of Quilt National–every quilt in the show is kept top secret until opening night. I’ve never been able to keep one of my quilt under wraps like that. So, I never had anything to enter. This year I did it, and now I’m all for the surprise. For a super sneak peak at my quilt you can check out this blog post about my fabric selection process. 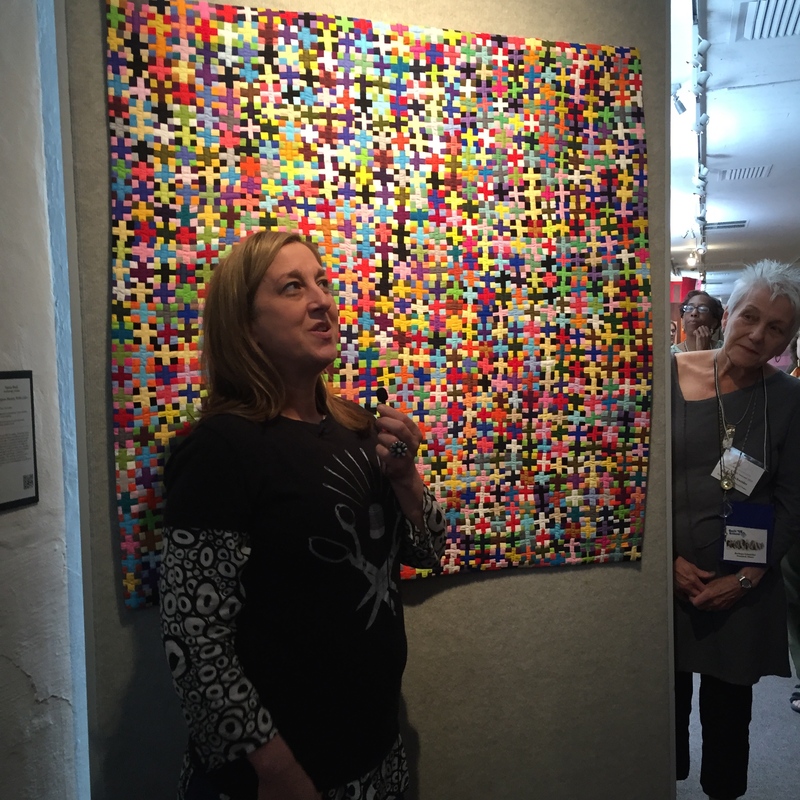 And I did manage to write a post about the opening night of Quilt National. It was AMAZING to meet so many of the artists whose work I have followed for years and years. 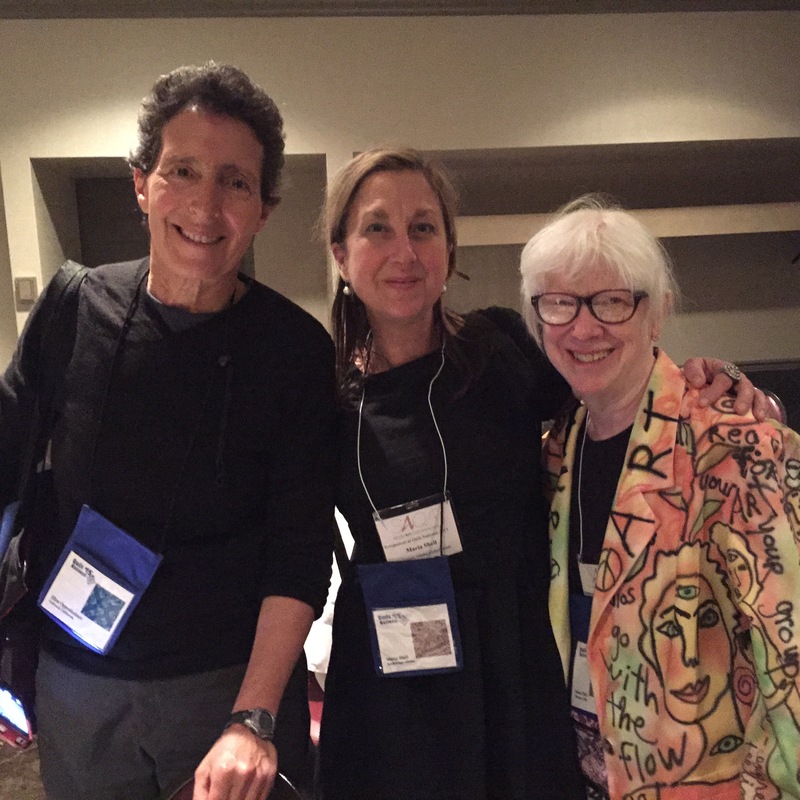 Me hanging with super stars Ellen Oppenheimer and Lucky Shie. Next, I headed south to Charlotte, North Carolina and the McColl Center for Art + Innovation. 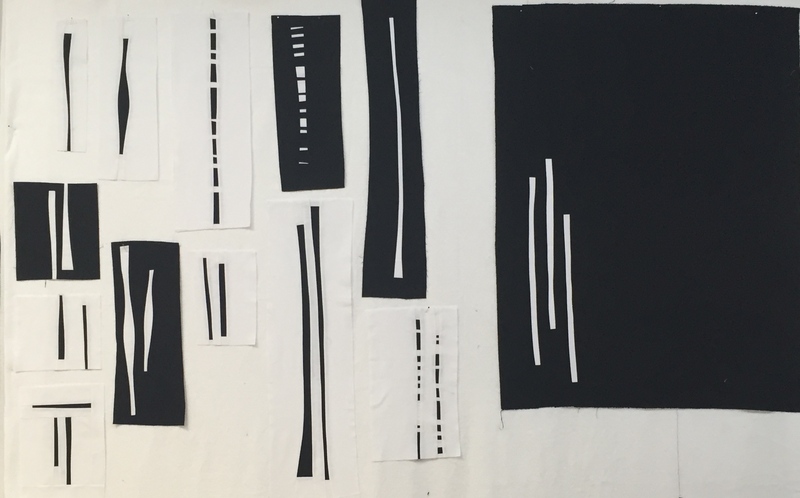 Last fall I did a residency at the McColl Center. 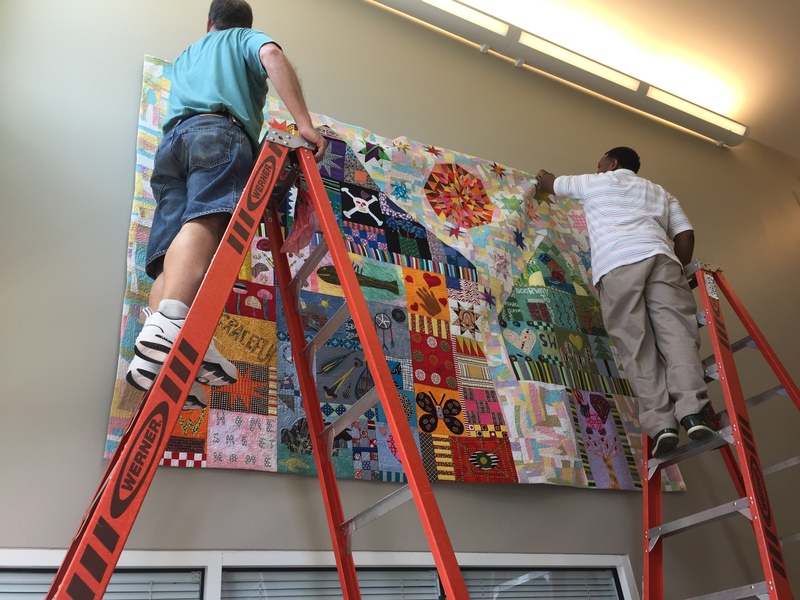 On this visit, we installed the community quilt I made with the tenants of Moore Place. I have written many times about my residency and the work I did while there. Here are the titles of those blogs. Just click on each one, and you will get the story from A-Z. Rasmuson Foundation Artist Residency Program describes the residency program. An Introduction is a written version of the introduction I gave to all of the residency participants. McColl Countdown shares a bit about the actual residency program, and what I thought might happen while I was there. Journey to Moore Place details the work of The Urban Ministry Center and Moore Place which were the organizations I worked with during my residency. HOME- A First Look at the Moore Place Quilt is what it says–a first look at the massive community quilt I made with the tenants of Moore Place. HOME is Home is the story of the final celebration of that quilt arriving home. I took Lines, Shapes, Circles, and Curves Part I and Part II. I have documented my studies with Nancy in the following blog posts. They are listed in the order they were written. I have written each and every one of these posts with love. My goal in writing them is to document and share MY experience. If any of you dear readers find that I have in any way violated your privacy or your quilts by showing them in the background of one of my photos, please let me know. On Saturday in the wee hours of a sunny night I arrived home. 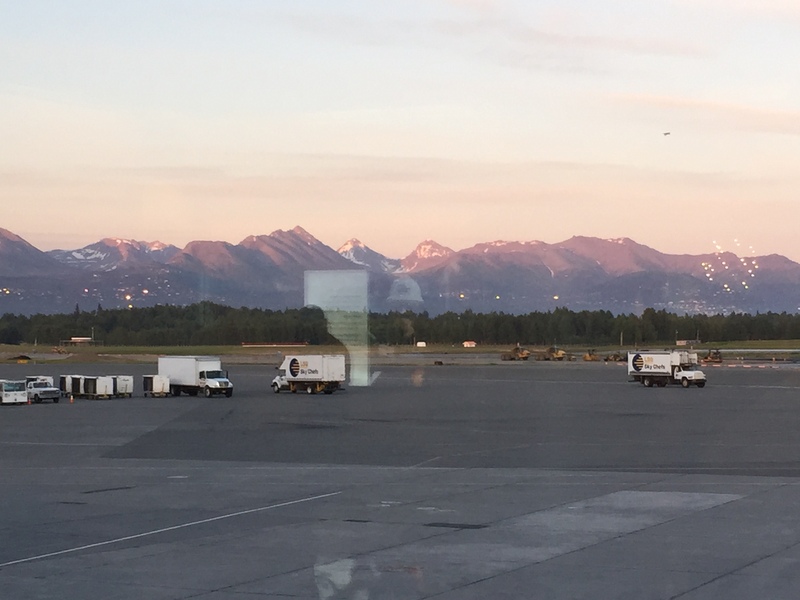 Yes, this is what midnight looks like in June in Anchorage. I hope you enjoy these links. In the meantime, I will be unpacking…. 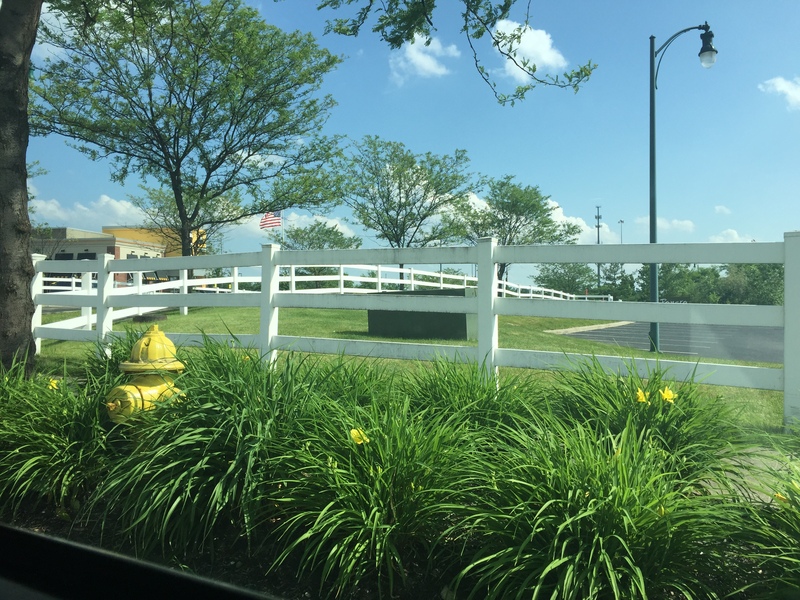 18 Jun	This entry was published on June 18, 2015 at 6:59 PM. 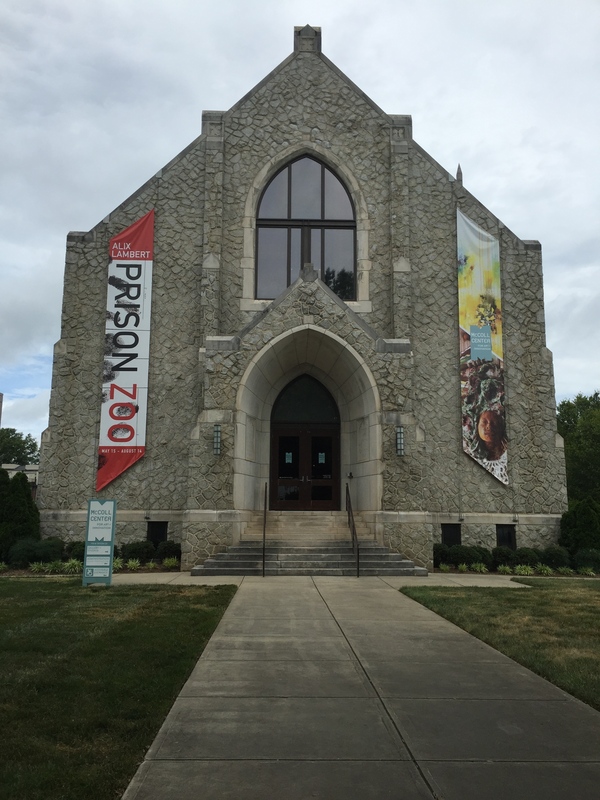 It’s filed under News And Events and tagged McColl Center for Art + Innovation, Quilt National, The Crow Barn, Travels. Bookmark the permalink. Follow any comments here with the RSS feed for this post. I admire you for being able to keep your blog going when you are doing so much travelling. It sounds like it was all worth it but how nice to be back home. Maggi- You are so right. I love traveling and having quilting adventures, but it always feels good to be home. Thank you for stopping by! You must be tired to think that only your mother reads your blog! Quilt National is high on my list of quilty places to go. Looking forward to your posts about your latest adventures in the Quilt Barn. Diane- Although this was my first visit to Quilt National and I might be a bit biased, I did think it was a lovely show. Really beautiful and engaging work. I hope you get to go! How does one subscribe to your post? I liked your color selection technique. The easiest way to subscribe is to go to my ABOUT page on this blog and then click on the email subscription link. I’m hoping to be talking more about color in the near future, so stay tuned! As a traveler, blogger, quilter, knitter, TV addict, and foodie, your writing at the beginning of this post made me really LOL. Such a great description of what happens! I am so enjoying your blog, and I was worried that right after I had found it, you didn’t post for a while. Glad you are back, and will look forward to reading your posts about your time with Nancy Crow. I have been for one week with her, and it was a totally wonderful experience. Thank you Debby. I am back and I am glad you are with me! Welcome home, Maria. I missed you, and I know a lot of people who read your blog, not just me. I look forward to reading your posts about your time with Nancy Crow, and I’m glad you take the time to share your journey. Dear Pam- you are one of those virtual friends who is now a real friend! Thank you for stopping by and commenting. Yes. Let’s plan on Quilt National 2017. If only! As always, your comments make me feel good. Thank you! I always read all your posts and really enjoy them, even tho’ we may never meet since I live in New Zealand and I probably won’t open up any arty opportunities for you, you do for me! New Zealand is on my list. So you never know. I think we just might meet for coffee or wine in the mid-distant future if I have my way. Thank you Camilla for stopping by and commenting. It is always good to hear from you! Wow. So happy to have you back!! I missed your blog a lot! I was ready to send out an SOS to find you. Thank you for coming back to your loyal readers. I love the inspiration you give me. Thank you ! Ann- I know! I need to figure out a system for writing posts while I am gone. How to balance it all? That is my million dollar question. Thank you for stopping by and commenting. Sounds like you’ve been very busy! I enjoyed meeting you at the SAQA symposium at Quilt National. I hope you can enjoy some relaxation and quilting at home now. Thank you Angela! It was great to meet you too! Great blog. I’m enjoying reading over your posts from your classes with Nancy Crow. Great work. Thanks for sharing. Thank you Julie! I have been trying to figure out what to share from these last two weeks. Each week of study with Nancy really is transformative, but it ain’t easy. That is for sure. I have been a fan for some time now, having found you on crazy mom quilts finish it up Friday, and I anxiously await every post. I love seeing the art quilt world through your eyes. I love process and you have provided great insights. Keep the posts coming–I am listening! Kris- Thank you so much for those kind words. Wow. It is really nice of you to take the time to say that. It means a lot to me! I’m so glad I was able to meet you at Fiberlandia. I had no idea that you were such a fabulous writer with a great sense of humor. I’m enjoying your blog. You actually inspired me to start one–I got the blog set up but just haven’t written anything yet. Thanks for all of the inspiration and insight. Frances. Thank you! I often wonder if people find my posts funny–I am trying to be funny, because,well, life is more fun that way. But I never really know if I make people smile. Thank you for letting me know that.